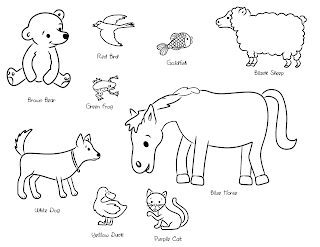 These are meant to go with the book "Brown Bear, Brown Bear, What Do You See?" as a felt board story. Obviously, you can use them however you want, and I hope that you do! 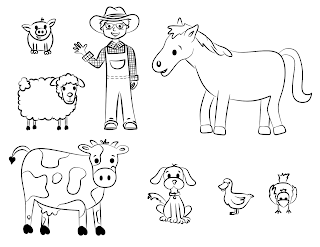 Just have fun coloring :) When I do this with my kids, I point to myself for "teacher" (or substitute "mom") and point to them when it says "children." The book is super easy to remember, but if you don't know it, check it out at the library, and bust out your crayons. Enjoy! Sometimes I forget that people have little boys out there. So, this one is for the boys. Ok, not really. My girls love trucks too. Anyway, this is just like the letters, only you match the number with the number of dots. (Yes, I know they're just circles, but after they're colored they'll be dots!) 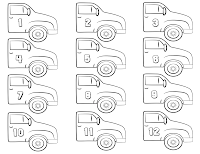 Plus, because some trucks have more than one bed, you can add the dots. Three dots plus two dots goes with the number five truck. Also, I know there are 12 trucks and 10 truck beds. They look a little messy trying to fit them all on one page, but they're cute when they're cut out and colored. So, bust out your crayons, and get counting. Enjoy! My daughter is slowly becoming more interested in the clock. She and my two-year-old will stare at the clock forever just waiting for it to be lunchtime or...well, mostly just lunchtime. It's apparently the highlight of the day. She keeps asking what time it is and trying to figure it out saying, "Why does it go so slow?" So I made a clock for her to color and cut out. 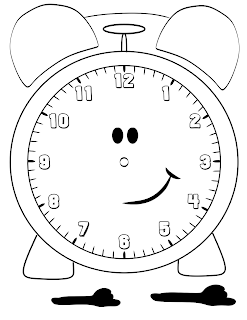 Cut out the hands, stick a brad through both hands and the clock, and you have yourself a clock with moving hands. Enjoy! I scream! You scream! We all scream for...the alphabet? These can be felties, magnets, or just plain paper. It's pretty simple. 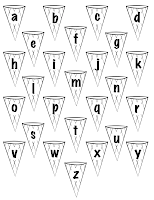 Cut out the ice cream and the cones, bust out your crayons, color and match the upper case with the lower case. Enjoy!